As time goes by, the scalp begins to produce less and less natural oils due to the exhaustion of its own nourishing resources. This exhaustion happens around the same time the follicles begin to be depleted of melanin and the hair turning grey. Due to its absence of color and how coarse and dry the hair gets at this point, you should consider making the switch to shampoos for grey hair to ensure your locks can still shine and keep their satin look. The silver and blue formulas of the shampoos for grey hair can be a bit strange, but they are designed to enhance the natural metallic hues of the hair to make it shine even brighter. However, they also require care when using them, as too much product can stain your hair with a purplish tone. This purple shampoo nourishes the hair while preventing and reducing the harsh brassy tones. It brightens the grey hair to give it a shiny and lustrous silver look. Its formula is enriched with magnesium and amino acids to strengthen the hair fibers and support their regeneration, thus preventing breakage and leaving the hair smooth and soft to the touch. Best for: grey, white and very blond hair. Warning: depending on the hair, its frequent use might lead to purple hues. The key ingredient of this formula is centaury, which acts to reduce the brassy tones and highlight the natural silver hues of the hair. This plant is also key to preventing the periwinkle hue that purple shampoos for grey hair can leave as a residue. 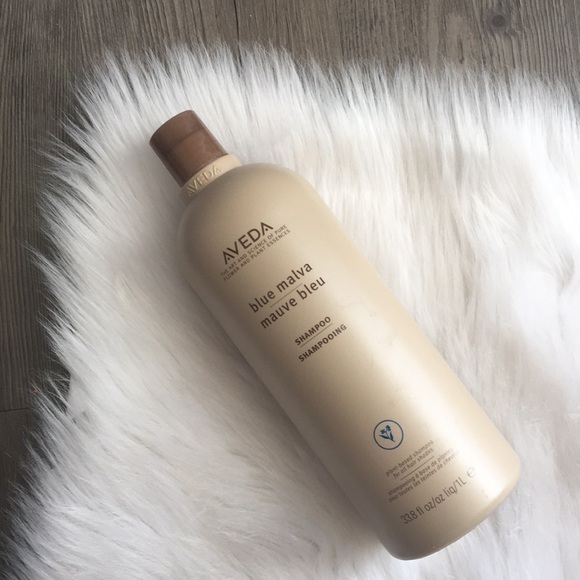 With a plant-based formula, it restores the volume to the hair while nourishing and strengthening the strands to leave them smooth and soft. It is also suitable for all types of hair. Best for: white, grey and platinum blond hair. Warning: can stain the hair, leaving it yellowish, if not rinsed properly. The algae-derived carrageenan extracts in this formula deeply nourish each strand to leave the hair looking lustrous and sleek, reducing the risk of breakage and the color fading. It contains intense violet pigments that neutralize the brassy and yellow hues to leave the hair shiny and light. This shampoo also offers protection again the UV rays to prevent further damage and discoloration to the hair. Best for: grey and light blond hairs. It also prevents burgundy, violet and red shades from turning orange. Unlike most shampoos for grey hair, this product by Schwarzkopf focuses primarily on keeping the hair and scalp healthy, which consequently will also help prevent the yellow undertones. Its formula contains lactic acid and calcium hydroxide that balance the pH of the strands and strengthen them starting from the root. This will also help the hair hold to its color for longer without fading into brassy tones, while the violet pigments make the grey hair shiny and enhance silver undertones. Best for: grey and blonde hair. Hash Jhirmack delivers one of the most nourishing shampoos for grey hair with this formula enriched with macadamia nut oil, collagen, CoQ10 and folic acid. It strengthens and moisturizes coarse and limp hair to leave the strands looking healthier, more voluminous and softer. The Co10 reinforces the protection against external aggressions and styling damage to prevent further damages. The deep purple pigments inhibit color fading, thus avoiding the yellow and brassy tones. Best for: all shades of silver, grey and blonde hair. Warning: it can leave the hair feeling dry to the touch if it isn’t rinsed off properly. American Crew has one of the few shampoos for grey hair that combines the cleansing of a shampoo with the nourishing formula of conditioners. It contains hydrolyzed milk protein that induces the strands to absorb and retain moisture, balsam Canada that strengthens them to prevent breakage, and a nourishing complex of ingredients that condition the hair to leave it smooth and soft while fighting its natural dryness. The extract of violet, on the other hand, highlights the silver undertones while preventing the brassy and yellow tones. Warning: its fragrance can be too strong for some users. Instead of using synthetic dyes, this shampoo uses natural ingredients to achieve the protection against yellow and brassy undertones and simultaneously nourish and moisturize the hair. It’s formulated with cornflower extracts, broom, walnut leaf, Rhatany root and coconut oil derivatives that support a thorough cleanse while neutralizing oxidation to leave the hair stronger, and feeling softer and smoother. Warning: the color hue of this shampoo is very deep. A small amount is enough to provide the desired results, while an excess of the product can lead to hair staining. Formulated with lemon, eucalyptus, ylang-ylang, and blue malva, it cleans and balances the scalp, leaving a pleasantly soft and relaxing spa-like fragrance for you to enjoy. It also softens the strands making them smooth to the touch and looking more radiant. The cornflower in its formulation combined with the blue malva work as color intensifiers that highlight the silver tones while neutralizing the yellow and brassy tones. Warning: too much product can stain the hair with a purple-bluish undertone. This shampoo by Rene Furterer is infused with extracts of okara, an active ingredient extracted from soya beans that resembles and functions similar to keratin proteins, the same that keep the fibers of the hair healthy, strong and less likely to break. Plus, it’s also formulated with vitamin B5, which has the ability to moisturize keratin and penetrate deep into the hair cortex, thus grant a superior nutrient supply to support its regeneration. The blue pigment, on the other hand, intensifies the natural white and silver hues of the hair while preventing the brassy and yellow tones. Warning: its fragrance might not please everyone. This shampoo is a gentle cleanser that removes the impurities of the hair that could affect its health and color, leaving the hair feeling light and soft. Nevertheless, as its name hints at, it’s formulated mainly thinking about the hair color. It neutralizes the oxidation of the hair to prevent the unwanted yellow and brassy shades while enhancing the hair natural highlights to leave it beautiful and radiant. Warning: it can leave a yellowish hue depending on the hair type. If you are intimidated by the deep purple color of these shampoos and the fact that most are not applied the same as you are used to, check out the video below to learn how to do it.